My late Granny Flapjack said that Verbena bonariensis had magical powers and that they could turn you into inanimate objects. I suspect that there is at least some truth in this as Granny Flapjack spent the last three years of her life in a secure institution convinced she was the Lost City of Atlantis. Verbena is native to tropical South America. She is a tall and graceful perennial. Slender stems take her to 120 cms and 90 cms wide. She supports fine clusters of pink flowers that bloom from mid summer to the first frosts. If your looking to add some height to your beds but you want something low maintenance, then this is the ticket for you. Easy peasy lovely super marvelous. 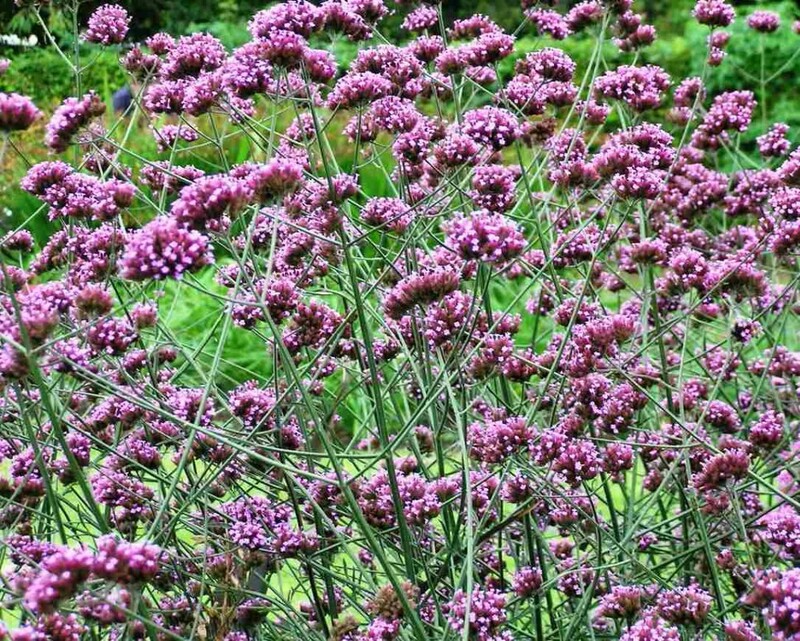 How do I grow Verbena bonariensis? There is not much trouble to be found in growing these delightful plants. I tend to sow my seeds where they are to be grown in the spring after adding a good deal of organic material to the soil. I also sow a few under glass in late winter. These have a head start on the ones sown in situ. It’s a good idea to give them a light feed in the Spring. I use an organic seaweed based feed and they seem to lap it up. 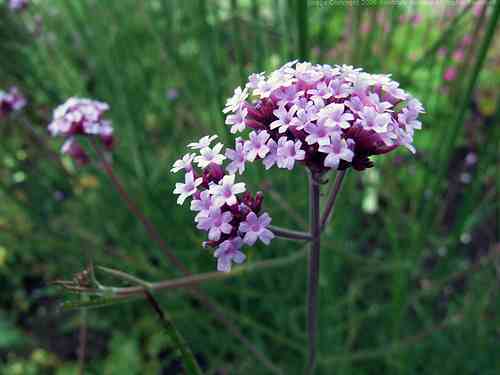 Verbena bonariensis is something of a tart and she will self seed all over the shop if you let her. Sometimes she requires a good talking to. Protect the bases of the plants during winter with straw or mulch as they don’t get on with our British weather. Verbena is very useful as a cut flower and adds height and visual strength to the vase. I love it with Ammi Majus, larkspur and/or scabiosa. A real cottage garden type feel. Yumtastic! 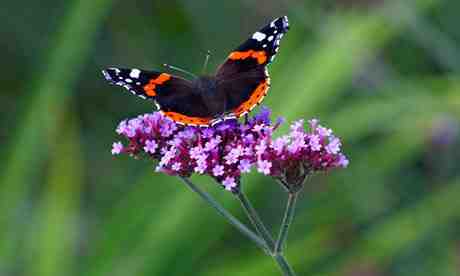 …also the wonderful verbena is brilliant for attracting butterflies and bees to your patch. 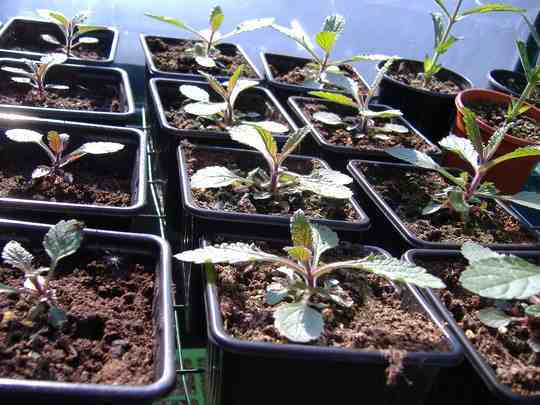 If you don’t want the hassle of sowing seeds, you can get rather dandy verbena seedlings here. Godetia. Clarkia, Farewell-to-Spring, Satin Flower. Leonotis leonurus. Lions Ear, The Staircase Plant. Ideal for adding hieght to a small garden but at 6′ tall it will need supporting. I would use something natural and unobtrusive. I still want to those tall elegant stems. Hi, I’m not sure what you mean about this or how you’d do it. I’m in the uk and have had VB for a few years now but haven’t cut it down as I didn’t realise it might flush again. I just usually leave it as it is throughout the winter as the dried heads look great. Have been looking for thi info myself. Apparemtly it is a good idea to NOT cut it back until spring (in UK) when you start to see new growth. 7/20/13 Hello Benjamin. I am a garden designer in South New Jersey, USA and use V. bonariensis allot. I have germinated hundreds and hundreds of seed with no problem, however, I had no success with germinating the seed of Verbena bonariensis. I tried three different methods and not one seed germinated. The only thing I did not try was stratification. Some say it needs it…others say no. Benjamin…obviously, from your photo above, you are successful at germinating this seed. Can you tell me what you do? That’s a pleasure Victoria, you should be seeing some little seedlings around the base of the plant by now, so be careful with your hoe and move the little chaps to wherever you want them. You are right, they are very graceful…giraffe like perhaps. Stay tuned and thank you for posting. All my self seeded ones grow exclusively on the front path, giving the postman a hard time. Just been looking at the BBC gardening blog, all about dried flowers being used in a giant garland at Cotehele-possible winter ideas for Higgledy? I highly recommend Verbena bonariensis. Here in New England, they are “dandy”, but so distinctive they are easily spotted and weeded out if they pop up in a place where you don’t want them…. an act we rarely find necessary as they add such charm to a bed.